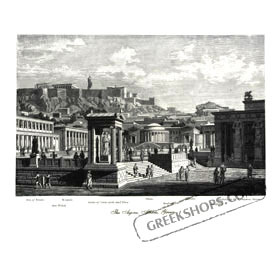 Lithography print of Ancient Agora. Excellent detail. Black and white, with excellent, detailed photo-like illustration. Size approx. 14 x 19 inches.